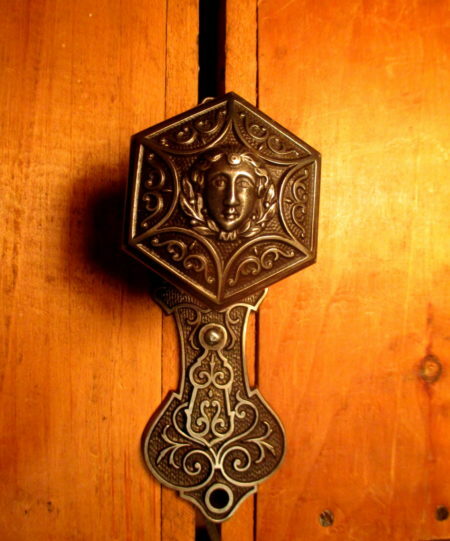 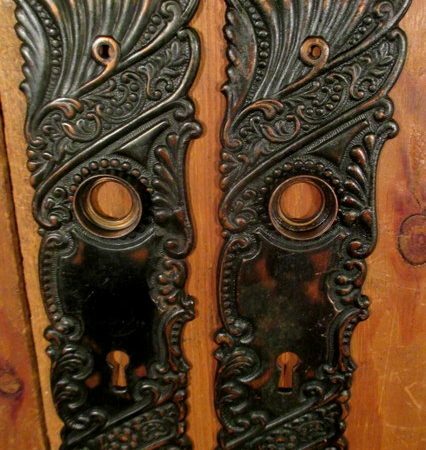 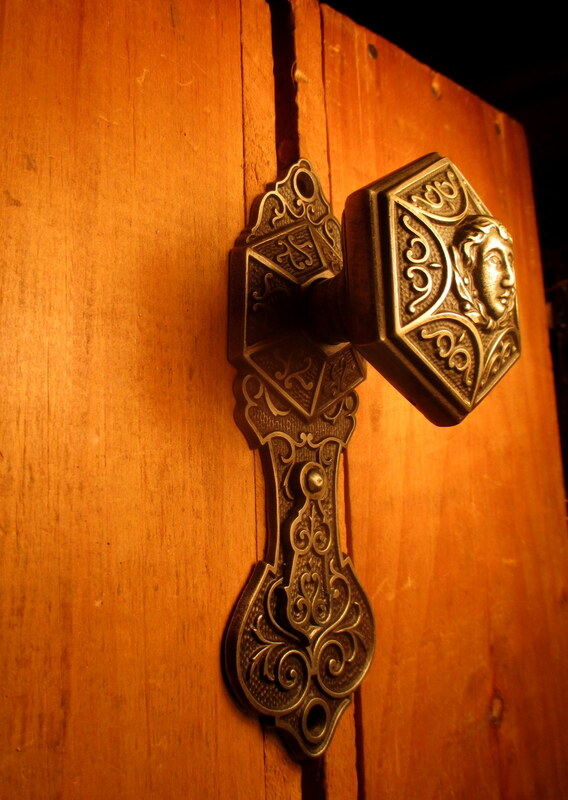 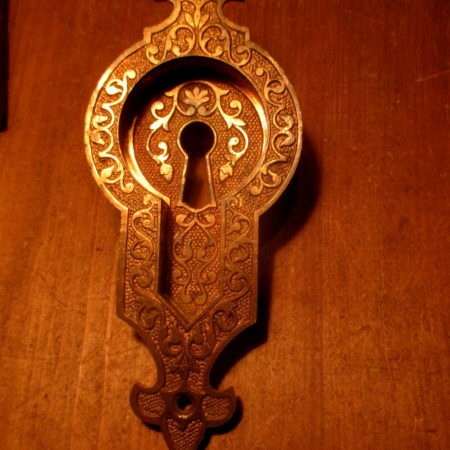 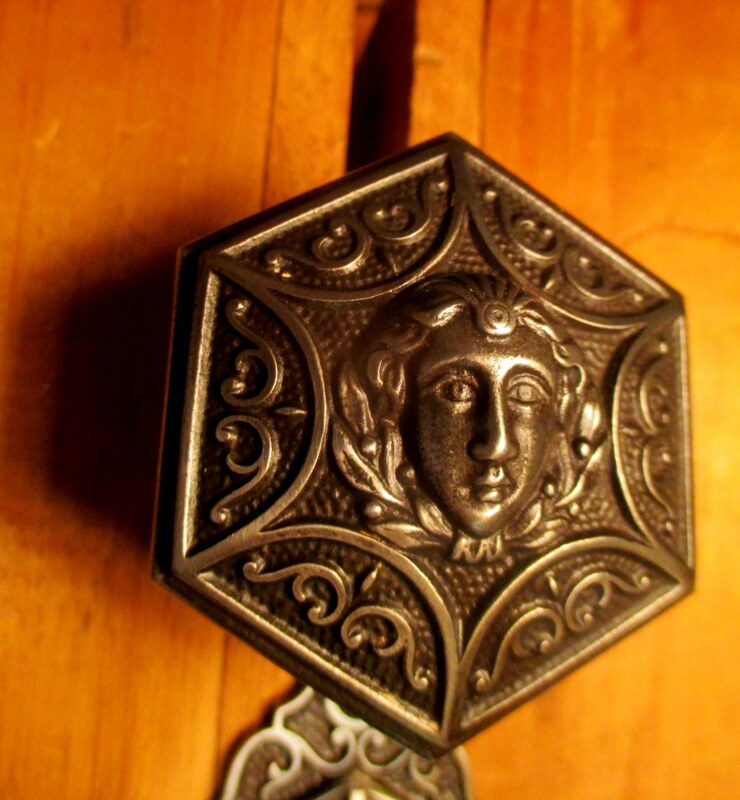 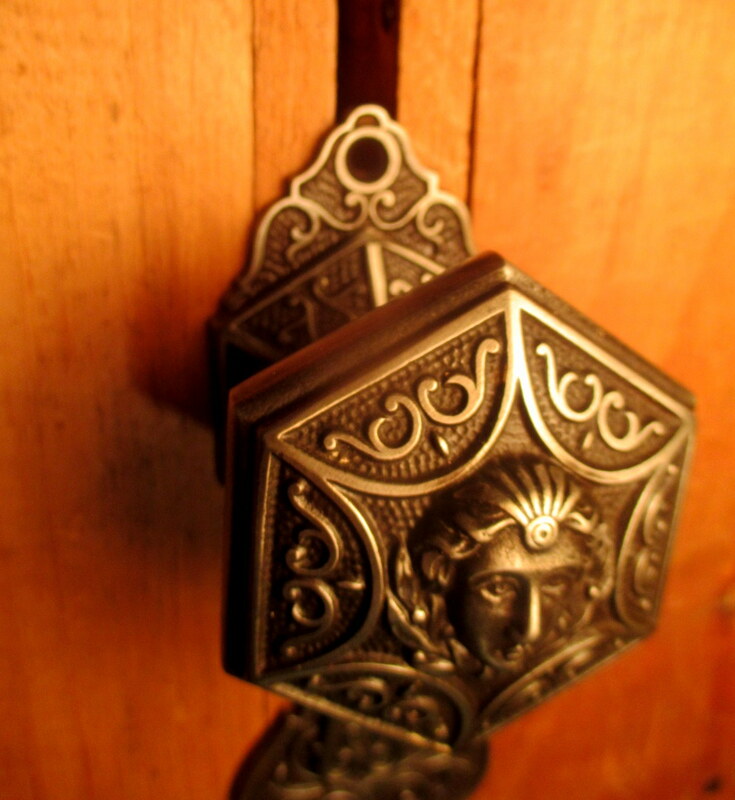 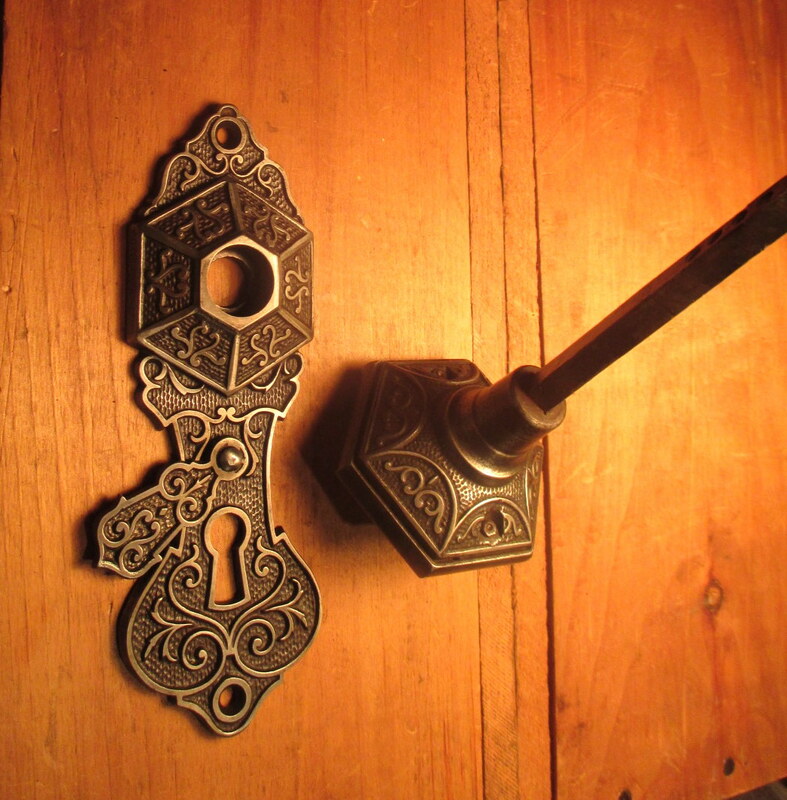 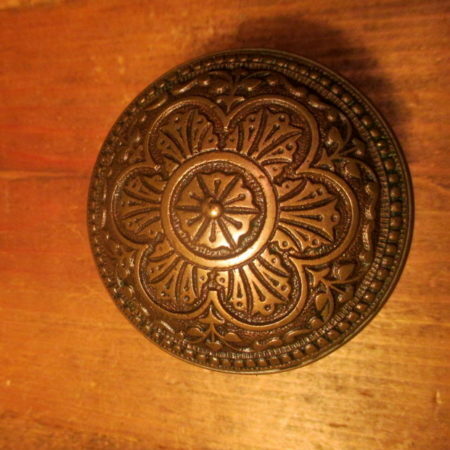 In excellent condition this circa 1875 figural iron door knob and door plate with key drop cover by Corbin Hardware . 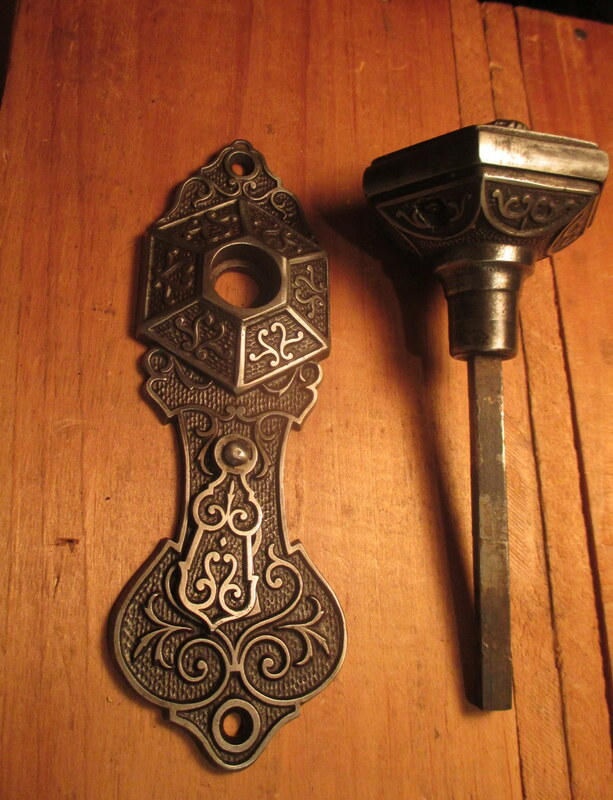 Knob comes with 1/4″ spindle that is pinned to knob. 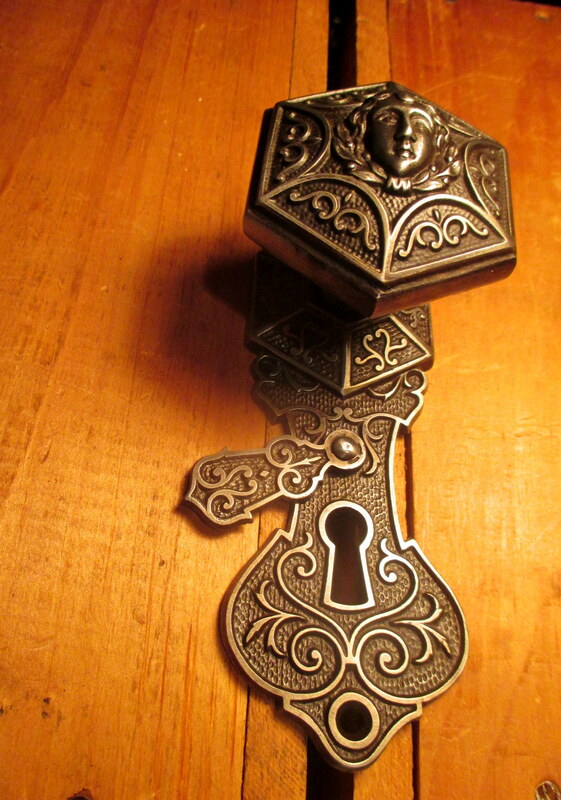 Nice collectors piece. 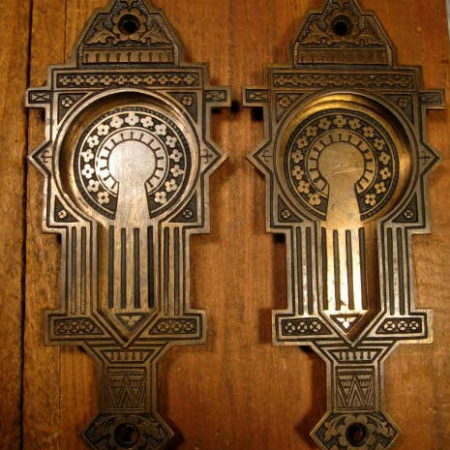 PRICE FOR ONE KNOB AND PLATE.